CHANEL Authentic Le Vernis Longwear Nail colour Polish, 13ml/.4oz NEW-your pick! 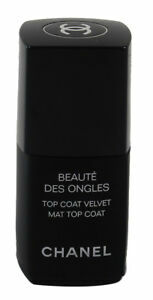 Chanel BEAUTE DES ONGLES Top Coat Velvet LIMITED EDITION NIB 13 ml / 0.4 Fl. Oz. Chanel LE VERNIS 697 TERRANA Nail Polish NIB 13 ml / 0.4 Fl. Oz. 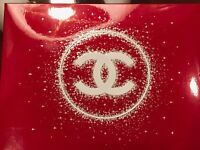 theelegantbeauty has no other items for sale.